New Reading defender Andrew Taylor says they must aim for at least a play-off place in the Championship this season. 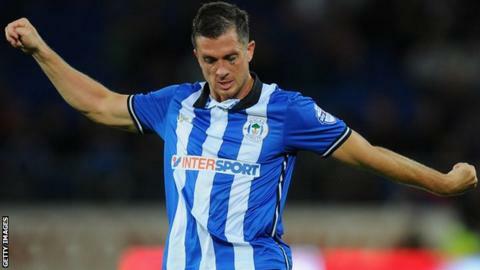 The 29-year-old left-back joined the Royals on a season-long loan from League One side Wigan on Wednesday. "I think we've got to be aiming for the top six at least, with the squad that's here," Taylor told BBC Berkshire. "When there was interest I said yes, without a doubt. The simple fact was being in the Championship, in a team I think can push for the Premier League." Taylor will challenge academy graduate Jordan Obita for the left-back spot for Reading's first league game at Birmingham. The ex-England Under-21 international has spent most of his career in England's top two divisions, with teams including Middlesbrough, Watford and Cardiff. "I've played a lot of games in both leagues and if I can bring experience and competition defensively that'll be great," he added. "I'm a bit of a steady-Eddie. I like to defend but I also like to get forward and supply crosses for goals."